Panni or Panri Afghans of Siwi (Sibi) , considered themselves subject to no one in 16th century, and we find them defying the writ of the Mughal Emperor Akbar who had to fight three battles against them. Mir Fazil, son of Sher Muhammad, the Mughal governor of Bhakkar (old name of Sukkar in Sindh) in 1576 (984 Hijri) led the first of these campaigns to wrest Siwi fort from the Afghans. Pannis made a brave defence but they were defeated after a fierce battle and Mughals occupied the Siwi fort. However after his departure , the Panni Afghans ousted the Mughal garrison and re-occupied the fort. The contemporary writer Allahdad Faizi Sarhindi mention the valour of the Pannis in these battles . The dispatch of the revenue of Siwi and its dependencies was stopped to Kandahar. The Pannis did not desire to be under the rule of Mughals. In 1587 AD (994-H), the royal forces again visited Sibi. Sheroyah Sultan , the governor of Bhakkar, sent his son , Muhammad Hasan, with a big force to conquer Sibi. The Pannis put up a stiff resistance, a pitch battle ensued. 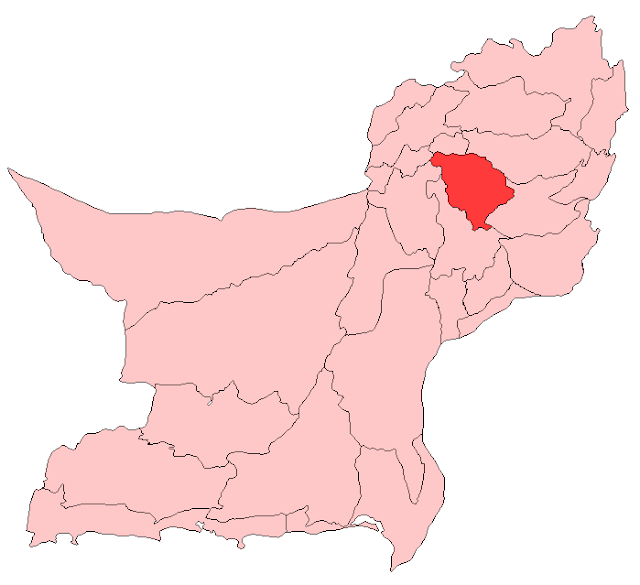 The vanguard of Mughal army consisting of Baledi Balochs, gave away at the first onslaught. The Afghans then attacked the main body and overthrew it. The Mughals were defeated and suffered heavy losses. Great number of those Mughal soldiers, who took to flight, perished of thirst through the excessive heat. After this disaster, Sheroya Sultan was removed from the post of the governorship of Bhakkar. "They (the Mughal commanders) were instructed , if possible by entering into some agreement with the Pannis, to make peaceful possession of the town; in case Pannis did not listen to advice , the town was to be taken by force. The negotiations having failed, on 23rd December, the imperial forces assaulted the town. Darya Khan and Daud, the Baloch chiefs of Gandava, also supported the Imperialists. About 5000 Pannis faced the attack , but were defeated and retired within the place, which was then invested. After it had been closely invested for some days, the defenders agreed to capitulate , and the keys were delivered up. Through this success, the country as far as Kandahar, and Kich and Makran, came into possession of the servants of the state"
Though it is not known as to who was the leader of Pannis at the time, however, they accepted payment of revenue but paid nominal allegiance to Emperor Akbar. The Pannis merely paid a nominal tribute of sixty sheeps while at the same time they were assessed to be able to furnish 1,000 horsemen and 1,000 foot for militia purposes. There must have been some special reason as to why they were so lightly taxed. The Panni chiefs of the Barozai branch were powerful, held considerable authority over the neighboring districts, and collected the revenue of the area out of which they enjoyed a considerable share. This tax of sixty sheeps was nominal. 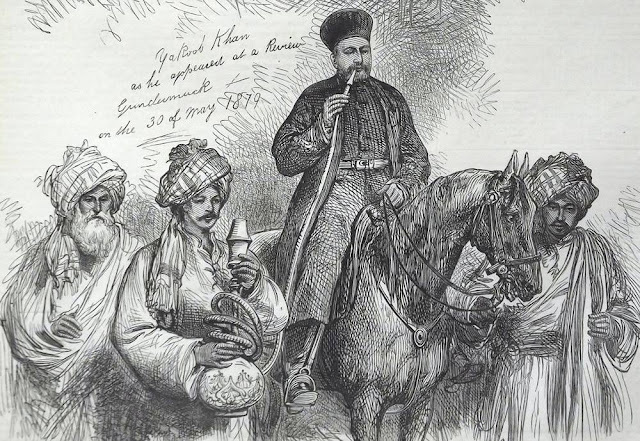 At that very time, the Abdalis (who later styled themselves Durranis) furnished 2,000 horsemen and 3,000 foot and were assessed at from 2,800 to 2,900 sheep, 5 'kharwas' (Kharwa was equal to ten maunds of Hind) of rice and one 'kharwas' of roghan or edible fats. According to Tarikh Mazhar-i-Shah Jehani in the year 1610 AD, Panni Afghans rebelled against Qoje Ali Kurd, the Mughal governor of Siwi and besieged him in the Siwi fort. 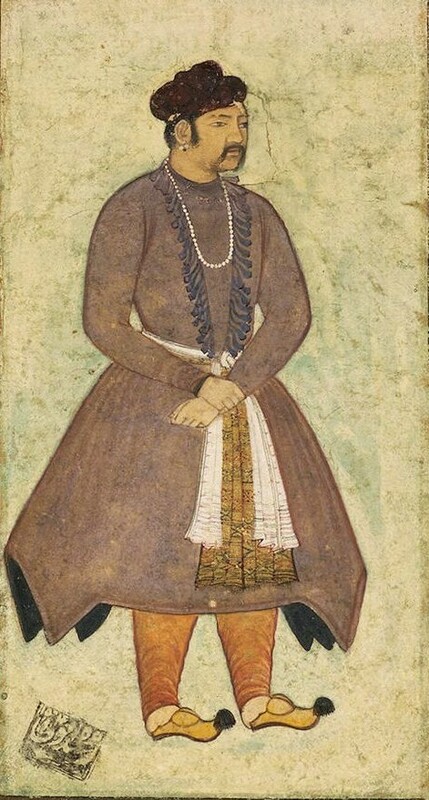 When the alarming news reached king Jehangir, he ordered Taj Khan , the jagirdar of Bakkar and Abdul Baqa, the feudatory of Gandawah, to rush to the aid of Qoje Ali. This was done and the besieged Mughal feudatory was relieved. Some later when Gandawah was also added to Qoje Ali's jagir , he gave several battles to Afghans and killed many of them. In 1617 AD, the Panni Afghans rose against Shaikh Bole, the governor of Siwi at that time, and killed him. On this, governor's sons, putting together a large force, reached Siwi. In the ensuing action, Afghans were defeated and many of them were killed. 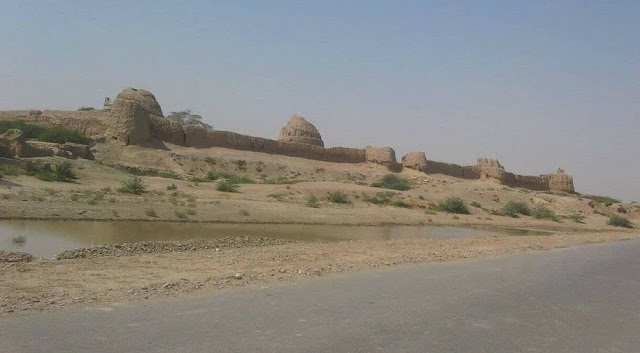 Sardar Jangi Khan , the chief of the Panni Afghans of Siwi at that time, was arrested and taken prisoner to Bakkar fort. 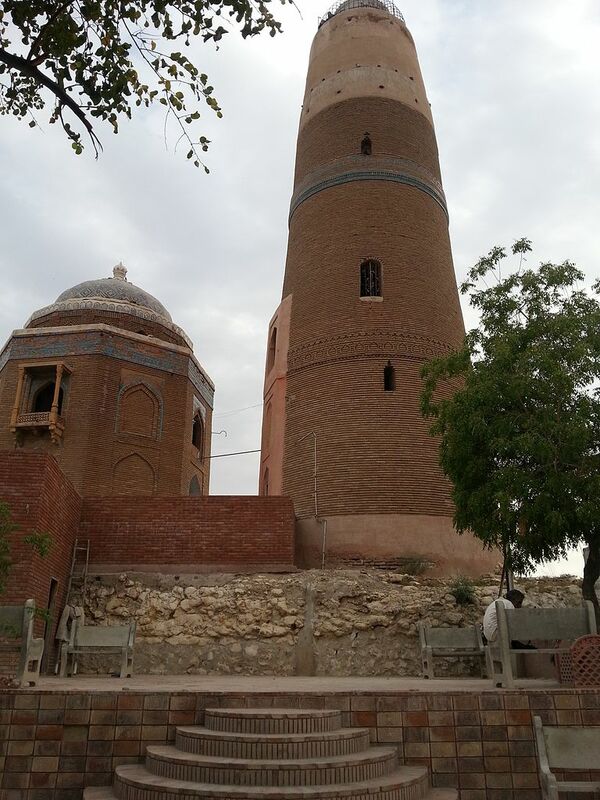 Minaret of Mir Masum in Sukkar ,Sindh.